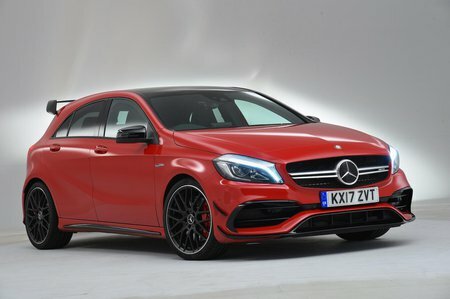 Mercedes-AMG A45 Boot Space, Size, Seats | What Car? 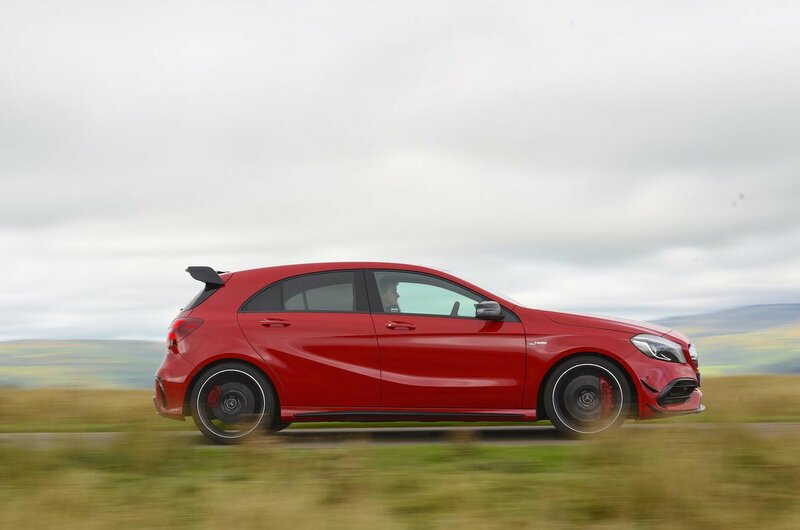 The A45 has five doors as standard, so there are certainly less practical hot hatches. However, if you’re approaching six feet tall you won’t relish a long journey in the back, as the sloping roofline eats into head room. The rival M135i and Golf R are both roomier in the rear. 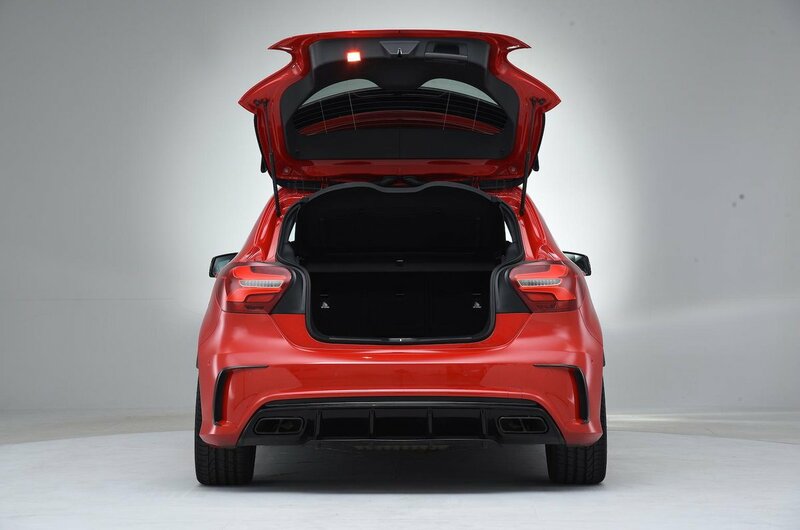 With the rear seats in place, the A45’s boot is smaller than a Golf’s, too. It’s relatively wide, but is shorter and shallower than most of its direct competitors’. There’s also a big lip at the entrance, which makes it awkward to lift heavy items in and out, and the boot opening is also quite narrow. Some rivals, including the Golf, offer clever, double-layered floors to provide greater flexibility, but in the Mercedes what you see is what you get. At least anyone sitting in the front is unlikely to complain about feeling cramped.